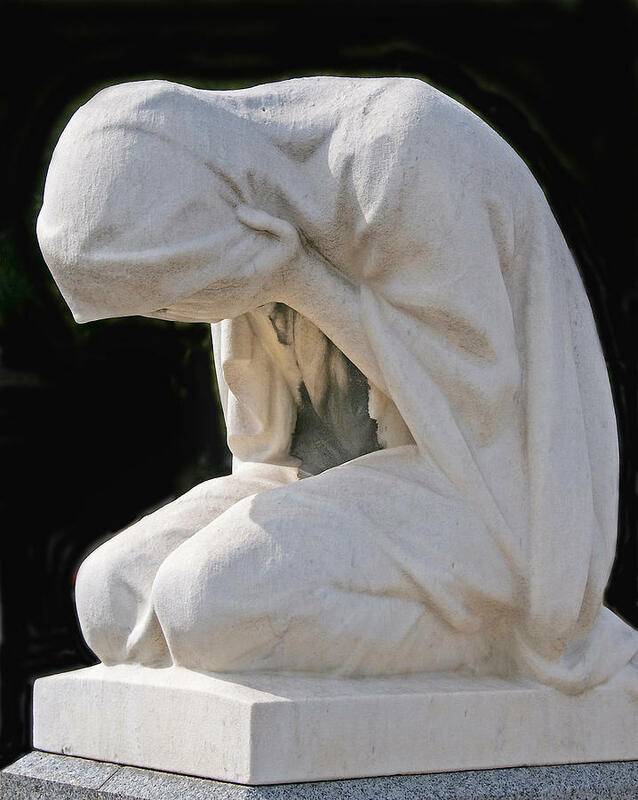 “Grief” by Kent Sorensen. Statue in Cimetière du Montparnasse, Paris. We had awful, awful news at our school last week. A five-year-old girl died after returning home from school one afternoon. One of our own kindergarten students. It’s like a punch in the gut, a slap in the face that makes you see stars, and makes the colours all weirdly bright. Suddenly danger is brilliantly visible in every cranny of space and every second of time. A moment’s inattention at the wheel. A tiny speck of the wrong person’s breakfast. A fleeting loss of balance at the top of the stairs. A brush with an angry bee. An unpredictable catch of the scarf. An unthinking dash into the street. Or simply being in a normal place at an unlucky time. This girl is gone forever because of a moment that could happen to anyone. Most five-year-olds are pure, solid vitality. But all at once, we are looking at our children and seeing the thinness of their skins, the narrowness of their airways, the fragility of their spines, the delicacy of their skulls, and the ever-so-fine tripwire that is the difference between a beating heart and a still one. We teachers cry and our hearts break. We can’t think too closely about this girl’s family, for fear of disintegrating and being unable to teach. We are parents, even those of us with no children of our own. There’s a reason we call them “our” kids. Abruptly, the reality is there in front of us: it is monumental and terrifying that each of us is responsible for so many beating hearts, every day. How is it possible for this just-begun life to be snuffed out? One child fights cancer for years of her young existence, and another is extinguished with not even a fever’s warning. Neither circumstance makes sense. At home, I clasp my living children extra tender-fierce. I enfold my stillborn salmon-spirit-Sebastian in the centre. The fear that all parents feel, the unseen lining to every moment of their children’s growth, is now busting through the seams. It’s real: the fear, the death, the beating hearts. Last Friday was the quietest Friday in memory, as the student body came to school with this new knowledge. They talked earnestly with their teachers, thought differently about their own siblings – and how maybe they want to keep them after all. We are shaky, holding each other in the Light. Give my niece and nephew hugs from me, too, please. But I have to say that this is so beautifully written. I was especially touched by: “But all at once, we are looking at our children and seeing the thinness of their skins, the narrowness of their airways, the fragility of their spines, the delicacy of their skulls, and the ever-so-fine tripwire that is the difference between a beating heart and a still one.” I have certainly felt this as a parent – looking at the tiny pulse in the neck of my sleeping baby – but you put it so eloquently. Oh, I’m so sorry. This brought me to tears – both the news and the writing. Hug them close, they are precious.